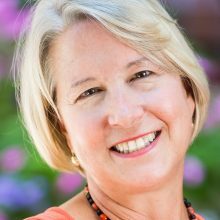 Carrie Hessler-Radelet is the President & CEO of Project Concern International (PCI). PCI is a global development organization working with families and communities to enhance health, end hunger, overcome hardship, and advance women & girls in 18 countries. Hessler-Radelet served as the Director of the Peace Corps from 2012 to 2017, leading America’s iconic international volunteer service organization with programs in over 65 countries. She served as the Deputy Director of the Peace Corps beginning in 2010. Before being appointed to the Peace Corps by President Obama, Hessler-Radelet worked as the Vice President and Director of the Washington D.C. office of John Snow, Inc. (JSI), overseeing the management of public health programs in 85 countries around the world. Her decades of leading global health efforts has also included serving as the lead consultant on the first Five Year Global HIV/AIDS Strategy for the President George W. Bush’s Emergency Plan for AIDS Relief (PEPFAR), working with USAID in Indonesia on maternal and child health and HIV programming, founding the Special Olympics in The Gambia, and serving as a Peace Corps Volunteer with her husband in Western Samoa. She was the third generation in her family to serve as a Peace Corps Volunteer. Hessler-Radelet believes in working with communities to find real, innovative solutions to poverty is more important than ever and PCI’s work will have an even greater impact in the years to come. She holds a Master of Science in Health Policy and Management from Harvard University and a Bachelor of Arts in Political Science and Economics from Boston University.